Find below the list of top CBSE schools in Gandhinagar - Ahmedabad with phone number, address, 360° School tours, 2018-19 Admission forms & Fees, photos, facilities & more. Om Landmark School is a residential school established making the long cherished dream of modern thinkers a reality. 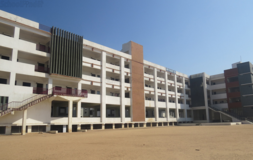 It is a co-educational full fledged school with classes from nursery to std. VIII. It is emerging as a prototype of unique characters and features. Every year the next class will be extended. Chaitanya School is managed by the Sree Vidya Niketan Trust (SVNT) a group committed to providing quality and affordable education in the state capital, Gandhinagar. SVNT believes that today’s students play a major role as leaders and opinion- makers of tomorrow, and that there is a felt need to impart quality education based on moral values to this vital section. Over the last three decades Shree Swaminarayan Public School (Affiliated with CBSE , New Delhi) has established itself as premier education organization providing excellent education to the children. The management of this school is run by Saints Swamiji and devotees who are rendering selfless services with utmost dedication. Their commitment to education is commendable. 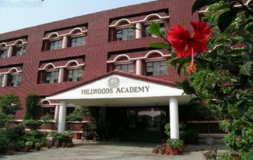 At Hillwoods School, they strive to offer a high quality, modern education environment with excellent resources designed to meet pupils’ individual needs. this school train students to become men and women of strong character, high principles and a compassionate outlook. Excellent teaching aids and an innovative methodology for an overall development of a child is schools aim. Choosing the right school for a child is a daunting task. Making the job easier for you is Sqoolz. In order for your child to get admission to the best CBSE schools in Gandhinagar - Ahmedabad you need to study and analyze the list of top CBSE schools in Gandhinagar - Ahmedabad. With our detailed list of CBSE schools in Gandhinagar - Ahmedabad, you can get all the information you need.